Russian Orthodox Church in the USA (ROCinUSA). 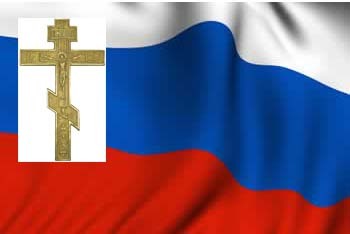 The Russian Orthodox Church in the USA is the name of the group of parishes of the Russian mission in America that recognize the canonical authority of the Church of Russia. They were previously known as the Russian Exarchate of North America before autocephaly was granted to the Metropolia in 1970. All of the parishes of the Exarchate were given a choice to join the OCA at that time. The parishes that remained were the list below. The parishes that that chose to remain under the canonical protection of the Moscow Patriarchate after the grant of autocephaly came to be known as the Russian Orthodox Church in the USA under the oversight of an auxiliary bishop. - St. Nicholas Church, Brookside, Alabama. The Russian Exarchate of North America was the distinct name of the group of parishes of the Russian mission in America which recognized the canonical authority of the Church of Russia during the period of the declaration of schism by the Patriarchate over the Russian Metropolia. It existed from 1933, when Metropolitan Platon (Rozhdestvensky) of New York was dismissed by the Patriarchate, to 1970, when the interdiction was lifted by Moscow and autocephaly granted to the Metropolia. At that time the Exarchate was officially dissolved. The parishes of the Exarchate which remained under the canonical protection of the Patriarchate after the grant of autocephaly came under an auxiliary bishop came to be known as the Russian Orthodox Church in the USA. During its existence the Exarchate participated in SCOBA, especially in the person of Metr. John (Wendland) of New York and the Aleutians.